Welcome to Beth Creedon Coaching! Interview with Beth Creedon_Professional Life Coach from Kirstie Henderson on Vimeo. Looking for a life coach? Here’s what you’ll get from working with me. Fun You’ll feel supported, we’ll have some laughs. You’ll be deeply encouraged and cared for. We’ll have fun! Clarity You’ll find my style clear, defined and open. This clarity will enable you to make informed, inspired choices about how you achieve your goals. Grow Coaching together will challenge your assumptions about yourself and others so you’ll see what’s possible. You will stretch yourself and that growth will enable you to achieve more than you set out to. We grow when we challenge ourselves. Positivity You’ll find access to your own positivity. You’ll be rewarded, refreshed and inspired by yourself. You’ll discover the focus and motivation to sustain your progress. It’s all within you. Results You will create for yourself a fun, supported, positive, rewarding, resourceful and inspiring life. Resources I have a bounty of resources to help inspire and guide you along the way. I will also help you to find your own resources, in order to further empower yourself. Championing You Your focus will be on what amazing things you have, rather than focussing on the lack! You are not broken, you do not need to be fixed. I work with individuals, groups and organisations to achieve transformational results. 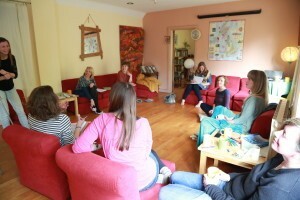 I am also very proud to be in my sixth year of running women’s retreats. “Wow, wow, wow. Having spent the last year on a dedicated spiritual journey I knew that I needed something more to fill in parts of my missing jigsaw. In the retreat I found those missing pieces. Any apprehension I had was immediately dissolved as soon as I entered the retreat. The weekend was so much more than I could have imagined. ” – Gail, Manchester. “Oh my god where do I begin!?! Great friends and support network, clarity, inspiration, courage and strength. Confidence to be me. I really feel that I have let go of lots of things this weekend. I got exactly what I needed. A warm, supportive, inspiring space where magic and transformation takes place! Beth Creedon, I love you so much! You are a natural leader, coach, motivator and counsellor. You inspire me.” -Suzie, Manchester. “Motivation found within has the strength to overcome anything. CONTACT ME TODAY TO ARRANGE A FREE CALL & SEE IF WE ARE A GOOD FIT.